With Colin Hassard and Dirty Words – and special guest Duke Special. The ‘Age of the Microwave Dinner’ is a poetry and music show that encompasses where we are as a society. In 2017 Colin received funding from the Arts Council NI to develop his first collection of poems. This led him on an exploration of society, religion, marriage, death, and, er, microwave dinners. Expect poetry, music, comedy and much more from this exciting, new show. Colin Hassard is a poet from Belfast. In 2018, he was the Runner Up in the Seamus Heaney New Writing Awards and selected by Eyewear Publishing as one of the Best New British and Irish Poets. He was also commissioned to write a poem for BBC NI’s end-of-year television advert which was read by Derry Girls actress Diona Doherty. Dirty Words are a poetry, rock and jazz collective. Their first single was a ‘Track of the Day’ on BBC Radio Ulster’s Across the Line and they have been play-listed by Chordblossom. As well as performing at the C.S. Lewis Festival, Sunflowerfest, and the NI Human Rights Festival, Dirty Words released their debut album Age of the Microwave Dinner at a special showcase event as part of the Eastside Arts Festival 2018. They are touring the album in 2019 through special poetry-and-music shows with Colin, as well as support slots. Colin will also by joined this evening by very special guest Duke Special. By nature Duke Special is a curious person. He is curious about theatre, books, music, poetry, art, love, life, redemption, death, 78RPM records and most recently, gardening! All of this is evidenced by his releases which are a map of his passions. His latest release, ‘Hallow’, is entirely based on the poetry of the eminent Belfast poet, Michael Longley, who was once described by his friend Seamus Heaney as ‘a keeper of the artistic estate, a custodian of griefs and wonders’. Full of gentleness, honesty, mischief and love, peppered with a cast of artists, animals, flowers, friends and long forgotten soldiers. 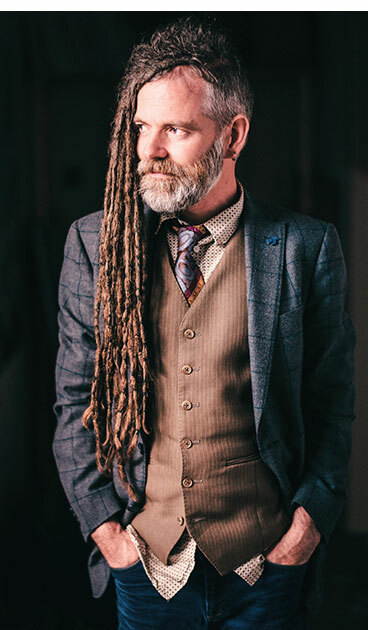 As ever, Duke Special is mining a new seam of inspiration, always trying to get to the bottom of what it means to be human.